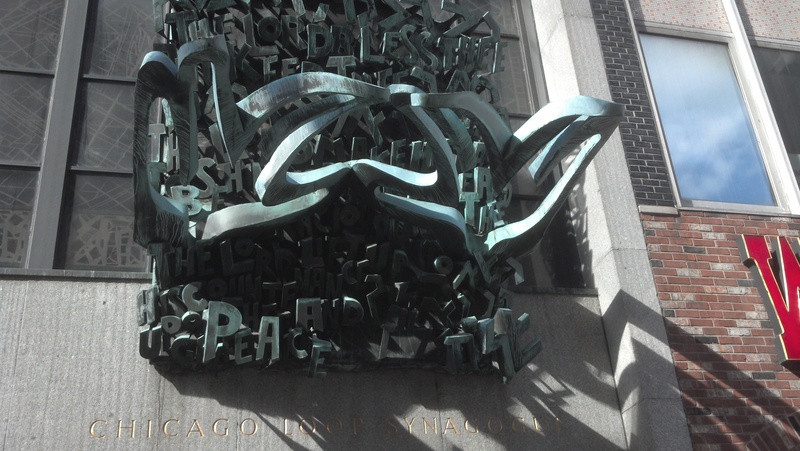 Today I walked the Chicago Loop with my friend Gail Walker and took in some of the locations on the Chicago Architecture Open House tour 2012. First stop was the Monroe Building at 104 South Michigan, which opened in 1912. J&J Arnaco acquired the property in 2007 and recently finished restoring it as a gem of Chicago architecture that once housed offices of Frank Lloyd Wright. The exquisite Pritzker Military Library is housed on the 2nd and 3rd floors of the building overlooking Michigan and Monroe. I feel truly enlightened by this visit, especially because I have walked by this building so often and never imagined what a gem it was or the incredible library housed within. We also visited the Chicago Loop Synagogue at 16 South Clark and were bedazzled by this unique example of contemporary stained-glass liturgical art that was installed in 1961. 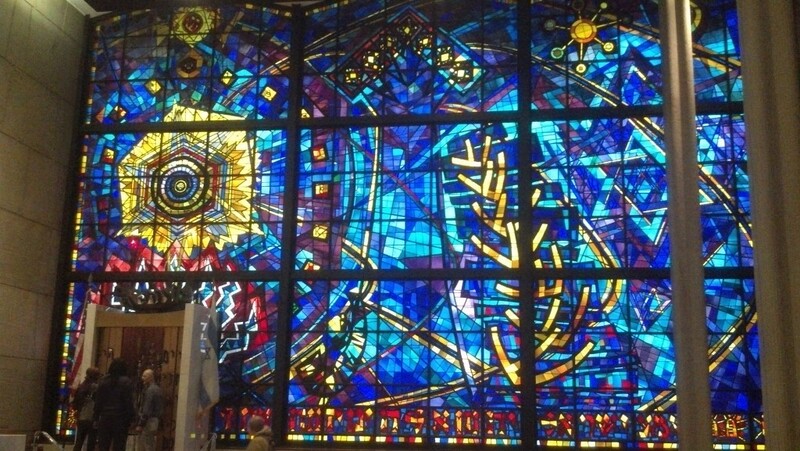 The window is an intricate design of ancient Hebraic symbols whirring through the cosmos. The Hands of Peace sculpture hangs over the entrance.